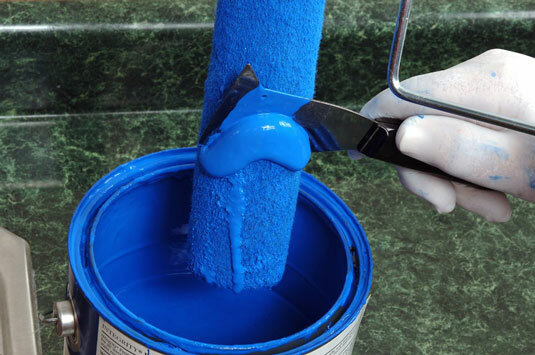 Maintain your painting equipment by cleaning latex paint from roller covers and cages before the paint dries. Cleaning latex paint from roller covers and cages isn’t much harder than doing dishes. All you need is a bit of soapy water and elbow grease. Tip: If you don’t want the hassle of washing the roller cover and cage, use a synthetic roller cover or one with a cardboard liner. Instead of cleaning it, just slip a plastic grocery bag over the cover, slide it off the metal cage, and toss it in the trash. But as long as you bought a plastic lined roller cover, you can clean both the cage and the cover and have them to use for many years. 1Gather your materials: Latex gloves, a 5-in-1 tool, used roller cover and cage, paint container, mild liquid soap, newspaper, paper towels. If you’re allergic to latex, use a synthetic rubber glove, like vinyl, Neoprene, or Nitrile gloves. 2Put on your gloves and scrape off excess paint from the roller. Use the curved edge of your 5-in-1 tool to scrape paint from the roller cover back into the paint container until the flow of paint stops. Holding the roller cage over the used paint tray, slip off the roller cover. Set the cage aside for now. 4Rinse the roller cover in warm running water. Hold the cover under warm running water to rinse it. Using either your hand or the 5-in-1 tool, work any additional paint out of the roller cover until the water runs clean. 5Wash the cover in a sink filled with sudsy water. Fill the sink with warm soapy water and wash the cover, rubbing it with your hands to work the soapy water well into the fibers. 6Drain the sink and rinse the cover again. 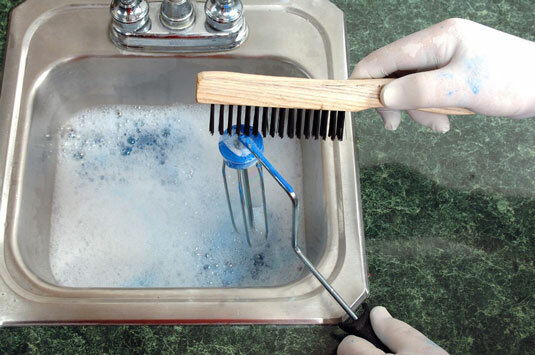 Drain the sink, and then rinse the roller cover until the water runs clean. Squeeze out excess water with your hands by wrapping your hand around the roller cover and sliding it in one direction. Keep going until you get all the water out. 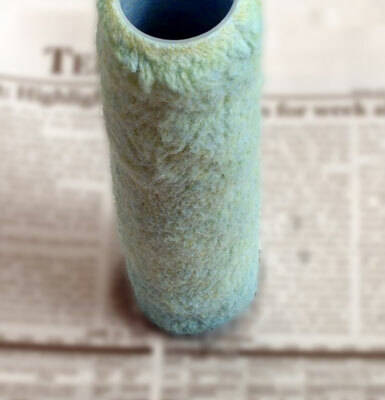 Stand the roller cover on its end atop some newspapers to dry. Store it on a shelf on its end. 9Wash the roller cage in a sink filled with sudsy water. 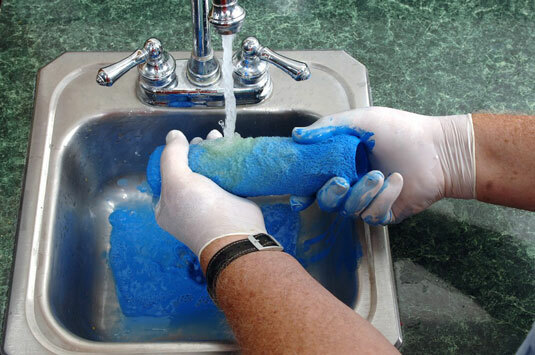 Wash the metal roller cage in the sink with warm soapy water. Use a wire brush to work off any dried paint. Rinse the cage, pat it dry with a paper towel, and store it.